Keyboardist Gregg Fox has performed for hundreds of thousands of fans in major venues across the country and has recorded and performed with many well known artists from acts such as Heart, Slash, Bad Company, Jefferson Starship, Billy Idol, Blues Traveler, Queensryche, Quiet Riot, Alice Cooper, Toto, Yes, Pantera, ACDC, Michael Schenker Group, Iron Maiden, Ozzy Osbourne and BB King. 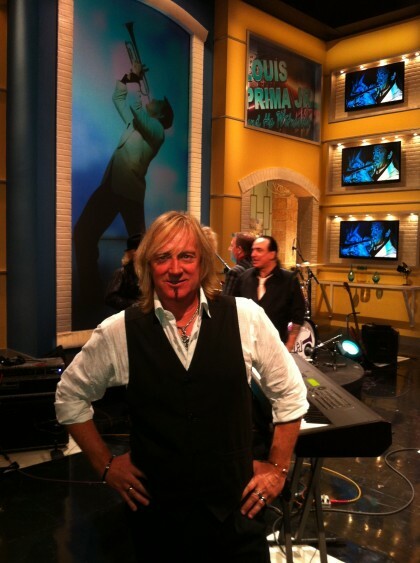 Fox was recently honored with an invitation to perform at NAMM for the “Living Legends” concert series where he performed with Alan White (Yes), Robin McAuley (McAuley Schenker Group- Survivor), John Payne (Asia), Frankie Banali ( Quiet Riot), Richie Castillano & Jules Radino ( Blue Oyster Cult) and Nicko McBrain (Iron Maiden). Gregg has performed at the Academy Of Country Music Awards for Miley Cyrus live for 36 million people watching on CBS, recorded and performed with original rock groups “Beggars & Thieves” and “King Kobra”, played keys for AGT winner Michael Grimm at his Grand Opening at The Flamingo, and has toured the country extensively as the keyboardist for Louis Prima Jr. and The Witnesses including performances on WGN TV & FOX 5 TV, Jazzfest in New Orleans, the Hollywood Walk Of Fame star presentation for Louis Prima, the massive Bottlerock Festival in Napa Valley and has been seen coast to coast twice on Access Hollywood “Live” TV. Greggs’ new epic project ”The Renaissance Rock Orchestra” is a powerful classical prog rock ensemble centered around his keyboard talents and progressive writing skills. In this orchestra Foxs’ powerful synthesizers, pianos and organs are surrounded by strings and supported by heavy rock guitars and drums. The Renaissance Rock Orchestra has just released its first EP “The White Gate Trilogy” which features performances by numerous rock star guest artists including vocalist Robin McAuley ( MSG / Survivor), Rock and Roll Hall of Fame Inductee from Heart, guitarist Howard Leese, Slash drummer Brent Fitz, Scott Rockenfield drummer for Queensryche, Brian Tichy drummer for Whitesnake/Foreigner/Billy Idol and master guitarist George Lynch ( Dokken/Lynch Mob). Currently as the keyboardist for “The Renaissance Rock Orchestra” Gregg Fox continues to amaze audiences with his energetic stage presence and his exciting keyboard skills refined from many years of live and studio experience.